BOB ABERNETHY, anchor: Next week the Jewish High Holidays begin. Rosh Hashanah, the Jewish New Year, starts Wednesday night (September 12) leading to Yom Kippur, the Day of Atonement, nine days later (September 21). In synagogues, on both occasions, one of the traditional parts of the services is the blowing of the shofar, the ancient ram's horn recalling Abraham's last-minute sacrifice of a ram instead of his son, Isaac. On Rosh Hashanah the shofar's mournful sound is intended to induce feelings of repentance and the need to return to God. Around the world, there are hundreds of classes to which children come to learn how shofars are made. We joined a group in Brooklyn, New York at a class called the Shofar Factory. Our guide was Rabbi Chaim Hershkowitz of Chabad's Jewish Children's Museum. Rabbi CHAIM HERSHKOWITZ (Chabad's Jewish Children's Museum): Judaism is packed with symbols. 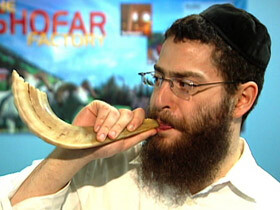 The shofar is one of the main symbols that people identify with, you know, in terms of the High Holidays. The Shofar Factory is meant to give kids a hands-on learning experience. We've all gone to synagogue. We've seen the shofar. Where it comes from, how does it get to its final stages--no one really knows. So that Shofar Factory takes that kid through all of the stages of making the shofar. And then, when he stands there on Rosh Hashanah or Yom Kippur and he sees that shofar, it has much more of a significant meaning to his whole holiday. A shofar can be as big as your hand to as big as they come. We don't want someone to think that he's just making noise with his hand. So the measurements start at being bigger than the fist. Usually, the longer the shofar the easier it is to get the sound out. The commandment to actually hear the shofar is for Rosh Hashanah. However, it's customary to blow for the entire month before as a preparation. 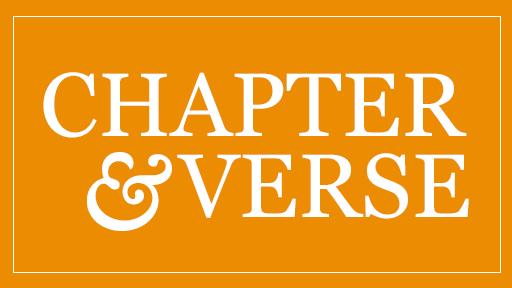 The reason why we do blow shofar is because Rosh Hashanah is the New Year, and it's a time to look back at past behavior and fix that and look forward to the New Year and things that could use change. So the shofar is actually used throughout the service as an evoking sound for the Jewish people to do chuvah. The word chuvah usually is translated as "repent," but the literal translation means "to return." Rosh Hashanah is two days, so both days the shofar's sounded. The first sound that usually we blow with a shofar is the Tekiah, which is a very long shofar blast, symbolizing the deep yearning to return. The next one would be the Shvarim, which is three medium-sized shofar blasts, again symbolizing the need to return and the feeling of remorse. And then we have the Truah, which is the nine short shofar blasts, which symbolize the crying of a young child and realizing that he's hit rock bottom and that now it's time for change. Throughout Rosh Hashanah and Yom Kippur, it's usually a very serious and solemn time. At the end of Yom Kippur, we are certain that God had answered our prayers and forgiven us for all our sins for the past year. So that time at the end when you finally hear that shofar blast, it's a great sigh of relief. One of the traditional parts of the services celebrating the Jewish holidays Yom Kippur and Rosh Hashanah is the blowing of the shofar, the ancient ram’s horn. Around the world, there are hundreds of classes where children come to learn how shofars are made, like the Shofar Factory in Brooklyn, New York. HOURS OF DEVOTION: FANNY NEUDA'S BOOK OF PRAYERS FOR JEWISH WOMEN edited by Dinah Berland. Read excerpts for the High Holidays.